Reach our campsite by driving your own vehicle around 5 pm. 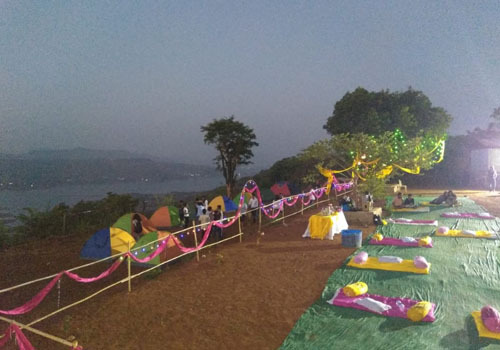 On arrival, Tents will be allocated as per your requirement. Gather at the dining area to enjoy the freshly cooked snacks and hot tea. 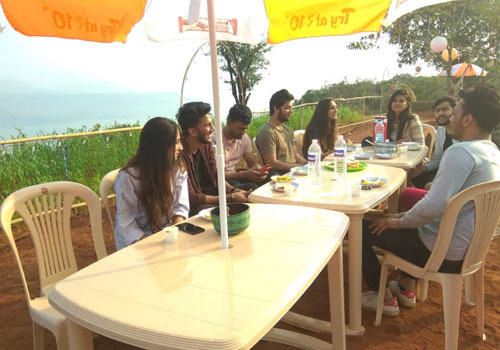 Post snacks session, explore our campsite and enjoy the Sunset and the view of Pawna Lake. After the sunset, have fun over the campfire as there is no fun in camping if there is no campfire. Listen to the soothing music played by our crew who also take request to play your song of choice. Around 9 pm, dinner will be served in the dining area. Feast on the local delicacies of Vegetarian and Non-Vegetarian dishes. 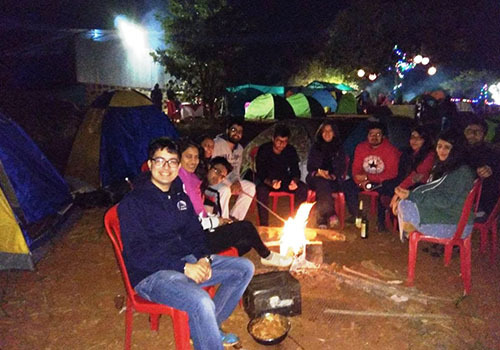 Post dinner continue the campfire session gazing the starry sky before bidding good night. Wake up around 6 am. 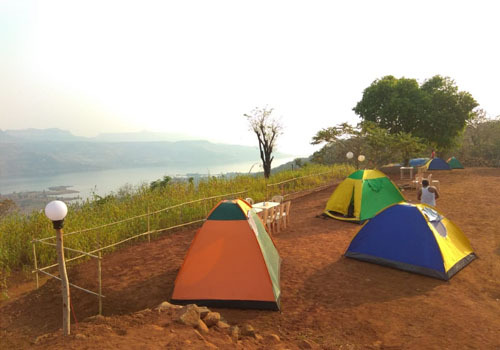 Freshen up with the beautiful sunrise view from the campsite. 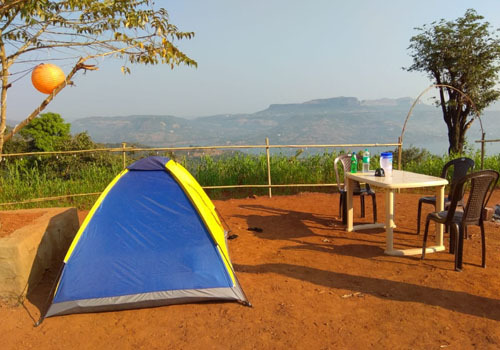 You can proceed to trek to Tung Fort by yourself as it is one of the easy treks in Sahyadris and the view from top is one of a kind. The duration of the trek is around 2 hours one way. Gather at the dining area to fill the stomach with simple but healthy breakfast. 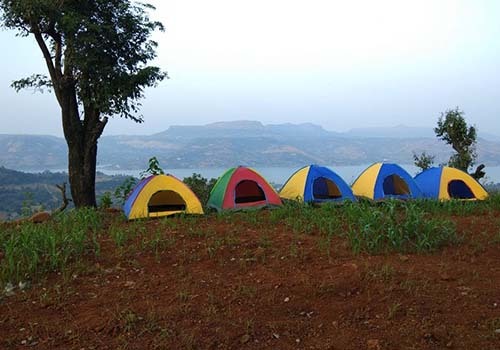 Post Breakfast session, bid adieu to this beautiful campsite who offered you ample moments to cherish. 3. Can I do swimming without life jacket? - We will provide limited BBQ in package.